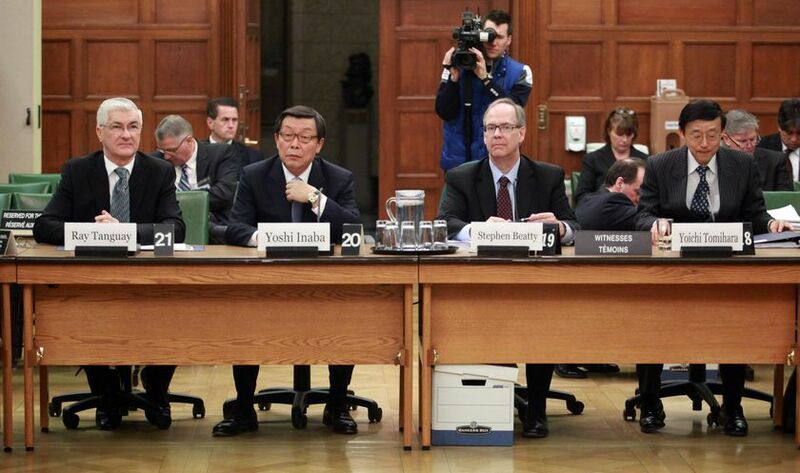 Thank you for inviting Toyota Canada to committee today to respond to the Toyota recalls. Over the past few months many Canadians have wondered whether Toyota vehicles are safe and we regret that this has caused our customers both anxiety and inconvenience. We intend to address these concerns today as a Canadian company (Tab 1 - Toyota Canada Corporate Structure). We sell more Canadian built vehicles in Canada than any other company. In fact, over half of the vehicles that we sell here are Canadian-built (Tab 2 - Breakdown of Canadian Built Vehicle Sales). We therefore welcome this opportunity to explain why Toyota’s vehicles are safe… and continue to be among the safest and highest quality in the world. I know this because as a senior Toyota executive, I have been exposed to many experiences around the world. A decade ago, I developed an early appreciation for Canada’s unique market differences having worked to bring Canadian drivers the Toyota Echo Hatchback. A model unique to this country. As President and Chief Executive Officer of Toyota Canada, my mandate is to ensure that our Canadian operations adhere to Canadian laws and regulations and Toyota’s global core values. A Canadian perspective is really important when explaining the recall and all issues related to this campaign and what we are doing in the future to minimize the possibility of such issues re-occurring. We also welcome this opportunity to provide some suggestions to the members of this committee on ways the industry, regulators and other stakeholders can work together to ensure the safety of all vehicles on Canadian roads. 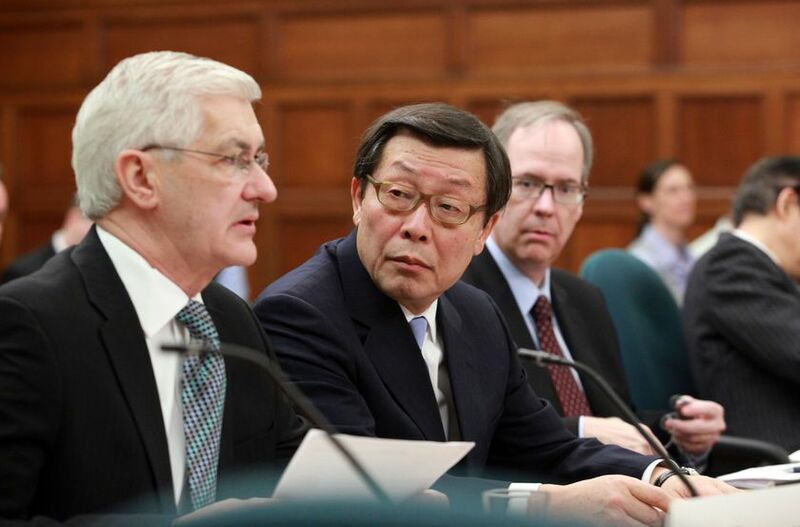 Appearing with me today is Mr. Yoshi Inaba, President and Chief Operating Officer, Toyota Motor North America, Mr. Ray Tanguay, President of Toyota Motor Manufacturing Canada, and Mr. Stephen Beatty Managing Director of Toyota Canada Inc. Mr. Inaba…. Mr. Chairman, thank you for your request to appear here today. I welcome the opportunity to come to Canada and I have the utmost respect for the Canadian parliamentary system. I always enjoy my visits to Canada because Toyota has such a rich tradition in this country. Toyota started selling vehicles here over 45 years ago and built its first greenfield parts manufacturing facility for North America in British Columbia over 25 years ago. That was followed by a full vehicle assembly plant a few years later. In addition, Canada is currently the only country outside of Japan to build Lexus vehicles. So I have a special place in my heart for the hundreds of Toyota and Lexus dealers, thousands of sales and manufacturing associates, and of course, millions of customers here in Canada. Having said that, I think it is very important that I clarify my role here in Canada and North America. My role as President and Chief Operating Officer for Toyota Motor North America is separate from the operations of Toyota Canada. Although I am responsible for all consolidated operations in North America and broadly for business development in this region, Toyota Canada operates as a separate joint venture licensed to distribute vehicles in Canada. 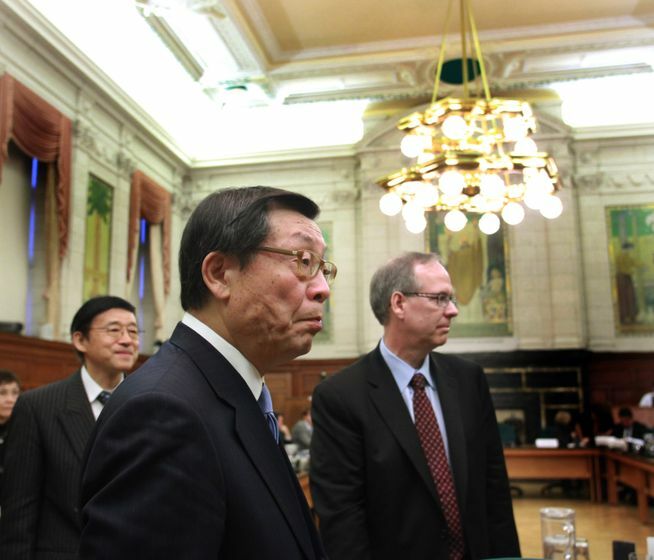 In that respect, the responsibility for the Toyota and Lexus vehicles on the road and the compliance by Toyota Canada to the laws and regulations of Canada, including the Motor Vehicle Safety Act, rests with Mr. Tomihara and Mr. Beatty. So please do not take my inability to respond directly to many of your questions as a sign of disrespect. Redirecting your questions to Mr. Tomihara or Mr. Beatty will reflect my effort to ensure that you get the best, most direct response to your questions from the Toyota Canada executives best equipped to respond and reflects my limited knowledge of the day-to-day business activities that take place in Canada. While my ability to contribute to today’s discussion may be limited, I am happy to be here to support Toyota Canada, its dealers and its customers. 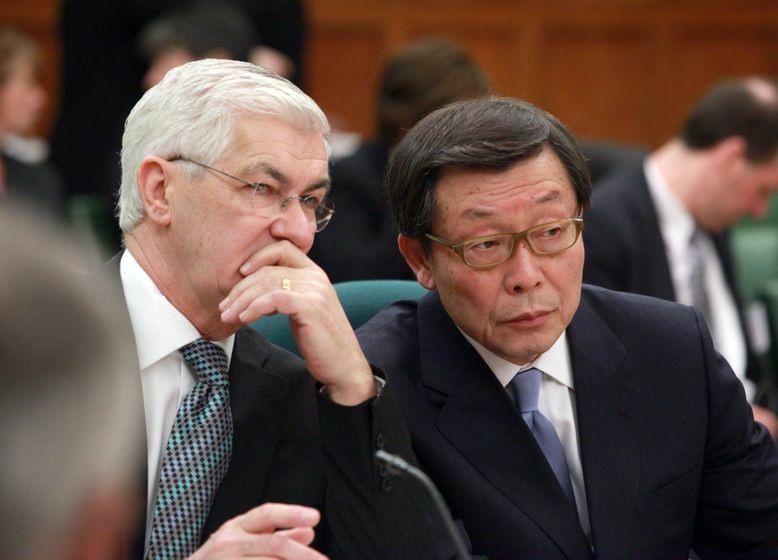 Mr. Chairman, Mr. Tanguay will now provide some additional comments about Toyota’s manufacturing in Canada. Thank you Mr. Chairman for the opportunity to address this Committee. As President of Toyota Motor Manufacturing Canada (TMMC) I am responsible for our Ontario manufacturing operation which includes facilities in both Cambridge and Woodstock, Ontario. Since 1988, our Cambridge facility has grown from 50,000 to more than 270,000 vehicles including the Corolla, Matrix and Lexus RX350. The Woodstock facility opened in 2008 and produces the RAV4. It is the first new automotive assembly plant opened in Canada since the 1980s. And, I am proud to say that in just six days – on March 22 – we will start a second shift increasing our capacity to more than 150,000 vehicles annually. To support the launch of this second shift, more than 800 new team members have been hired over the last few months. Between our locations, TMMC will be able to produce more than 420,000 units annually. Our direct employment will be almost 7,000 team members. In addition, TMMC does business with more than 78 suppliers in Canada, providing thousands of additional employment opportunities for Canadians. And since, about 75 per cent of the vehicles we make are exported, we are a major contributor to Canada's balance of trade. Again, thank you for the opportunity to appear before this committee. I now turn it over to Mr. Beatty for a review of the recalls. Mr. Chairman thank you for convening today’s hearing. In a perfect world, there would be no need for recalls. And that is always our goal. But we also know we cannot assume a perfect world. Here in Canada we have enhanced our EDER system by establishing data-sharing agreements with all of our dealerships, coast to coast. This single, tightly integrated, industry leading system means that we can review and query all unusual service patterns and an additional system automatically alerts us to any unusual warranty activity. Together these systems allow us to quickly detect potential problems in our vehicles. Second, Toyota has field engineers in North America who go on-site to investigate issues – whether they’re raised by customers, or our own investigations or Transport Canada. Toyota also stations a dedicated team of field engineers in Canada in the winter months who can quickly identify any potential issues related to our unique climate. Third, our EDER process requires that when an issue is identified, we take action. That is why it is so important for our EDER teams to get to root causes. What our teams learn, we share with other Toyota operations. But it’s important to remember that Toyota vehicles built for Canada are selected specifically for this market and many have unique features and specifications (Tab 5 - Product Differentiation between Canada and US). This fact is central to understanding the difference in the all-weather floor mat recalls in Canada and the US. Last fall Toyota in the U.S. recalled a number of models to address potential issues involving all-weather floor mats entrapping accelerator pedals. So why did we issue the recall? Because we knew that telling our customers there was “no need to worry” was simply not good enough: Not when their confidence in their vehicle was at stake. In addition our investigation concluded that there was one Canadian mat of concern. We initiated a unique Canadian safety recall on the all-weather floor mat in the newly introduced Toyota Venza. While Toyota was identifying and resolving the floor mat issue, we became aware of a handful of customer concerns that could not be explained by the all-weather floor mats. We discovered that in rare instances, a combination of wear and condensation could make the accelerator pedal harder to press, slower to return to the idle position or – in the worst case – stick in a partially depressed position – not full throttle. The chronology of the action we took is at Tab 7 (Timeline of TCI recalls). In light of the floor mat and pedal issues, Toyota has renewed its focus on quality. Toyota Motor Corporation’s president, Akio Toyoda, announced a 6-point program outlined at Tab 8 (Tab 8 - Akio Toyoda 6 Point Program to Improve Quality). Toyota Canada is in discussion on how to best coordinate Canadian quality initiatives as part of this program. We want to put those questions to rest. Every Toyota and Lexus vehicle that features our electronic throttle control system is equipped with a multiple failsafe mechanism which, in the event of a malfunction, shuts down the engine speed, rather than allowing the vehicle to accelerate unintentionally. I want to be absolutely clear: as a result of our extensive testing, we do not believe that unintended acceleration has ever occurred because of a defect in our ETCS. Toyota has conducted testing of the electronic throttle control system using the European standard for EMI testing in automobiles, ECE-R10. Toyota’s electronic throttle control system is tested to twice this standard. The robustness of the failsafes in the ETCS in our vehicles has been confirmed by Exponent, a world leading engineering firm that conducted its own, independent tests. Exponent’s work is not finished but we will release all of their findings when complete. By the end of this year, all new Toyota and Lexus models will be equipped with brake override from the factory. Meanwhile, as part of our safety improvement programs related to all-weather floor mats, we are incorporating the brake override system in a number of the models included in our campaigns. A summary of these recalls is provided to the Committee members at Tab 12 (Tab 12 - Transport Canada Campaign Tracking List (2009-2010)). What’s important is we identified the problem, implemented a solution and, with an over 60 per cent completion rate on the sticking pedal, we are well on our way to completing the remedies. Finally, every new Toyota and Lexus vehicle in Canada is equipped with an Event Data Recorder (EDR). Toyota Canada has provided Transport Canada with an EDR reader and an offer for training to help in its investigations. It is important to understand that there is no requirement for vehicles to be equipped with an EDR in North America. There is a NHTSA ruling requiring any company equipping its vehicles with an EDR to make an EDR readout tool commercially available by 2012. Through deployment of EDR and readout tools for our vehicles, we are providing this technology well in advance of 2012. Before closing, let me address some of the issues that arose in committee last Thursday. At that time, Transport Canada identified that they had received 17 complaints about all acceleration issues in all Toyota vehicles from 2006 to last fall. Of course one event of unintended acceleration in a Toyota is one too many. But we don’t have 17 unintended acceleration events. These are speed control complaints and include vehicle hesitation, component failures where our failsafes worked and misperception about normal operational surges in ETCS. In fact, there is only one event in the 17 that can be described as a sustained sudden acceleration event. This was in a 1996 Camry without ETCS. It has a cable throttle system. One of the benefits of the ETCS is the elimination of binding of the mechanical cable system. It is important to underline that a complaint is not the same thing as a finding of a defect. Indeed a complaint is the starting point for an investigation and action is taken where a safety defect is found. Transport Canada noted that Toyota’s 17 complaints represented a low volume of that is not out of line with the complaints registered against other major auto manufacturers. Please remember that both Toyota and Transport Canada are legally obligated to act when a safety defect exists. It’s not in the interest of Toyota Canada, our dealers or our customers to fail to deal with known problems. We act if evidence of a defect exists. To ensure public confidence we have also enlisted the help of outside experts to test and confirm our own investigations and processes. We take the safety of our customers and their confidence in our vehicles very seriously. We believe we’re at the forefront of the Canadian industry in this regard. Mr. Chairman I’d also like to bring your attention to Tab 13 in the binder where we have listed some public policy recommendations for consideration by the committee. 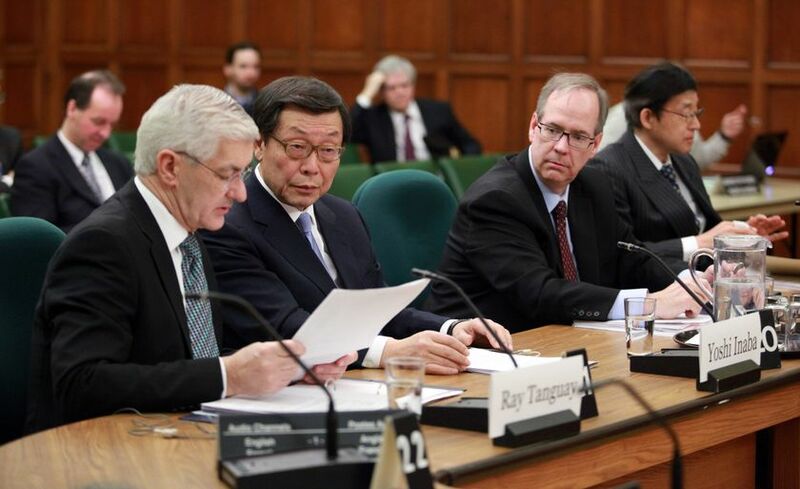 (Tab 13 - Toyota Canada Inc. - Policy Recommendations to Standing Committee on Transport, Infrastructure and Communities). I’d like to discuss these in greater detail during the Q+A if time permits. Mr. Chairman, we look forward to your questions.